PUNE: The arrests of some of the organisers of Elgar Parishad, held on December 31, 2017, and branding them as ‘Urban Naxals’ by the Pune police, has not deterred the organisers from holding this year’s edition of Elgar. Justices (retired) B G Kolse Patil, P B Sawant and over 200 organisations will be hosting the event under the name ‘Yuva Jagar Parishad’ on January 12. The tentative venue for the event is Rashtra Seva Dal auditorium in Pune. The event will be held with an intent to propagate the message of caste annihilation. Kolse Patil told Newsclick that he wanted to inform the youth how the Narendra Modi government was “playing with the democracy by saffronising independent institutions” like Central Bureau of Investigation or universities, cow vigilantism, and so on. “The Modi government failed to provide employment to the youth. What was promised was not delivered. Instead, they are keeping people busy with the rhetoric of cow, Hindu rashtra etc. Now, it has announced 10% reservation to people from the upper castes, which is against the very concept of reservation, which says that it should be given to those who have been oppressed for ages due to the caste system. To alleviate poverty, it can resort to many other measures instead of reservation,@ he said. Kolse Patil said he wanted to make youth aware before the upcoming Lok Sabha elections so that they would be be able to take an informed decision on whom to vote for. The Pune police had arrested Sudhir Dhawale, one of the organisers of Elgar Parishad, along with other nine activists, accusing them of being active members of the banned Communist Party of India (Maoist). The activists are currently lodged in Yerawada Jail. 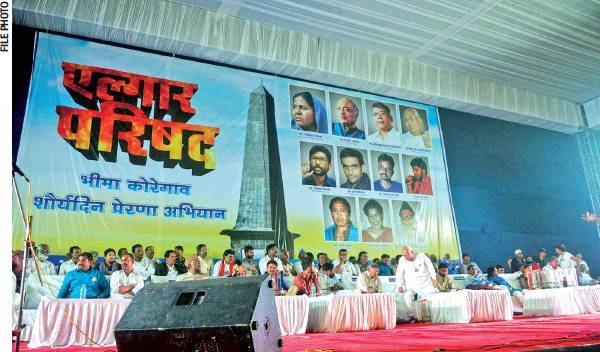 A complaint was lodged by the Pune-based builder Tushar Damgude, who had claimed that speeches at Elgar Parishad instigated violence at Bhima Koregoan on January 1, 2018 – when lakhs of dalits had gathered to pay respects to the obelisk built in the memory of those died and injured in 1818 battle. In this battle, British Army comprising Mahar/dalit soldiers had defeated upper caste Peshwas. Pune police had accused the Maoists of funding the Elgar Parishad. However, Kolse Patil and Sawant have stated time and again that they had been among the organisers of Elgar Parishad. Pune police have denied permission to hold the event at Shaniwar Wada – the venue of Elgar Parishad in 2017. As a result, it will be held at Rashtra Seva Dal. After Pune police in the last week of December refused permission to hold the programme at Shaniwar Wada, the organisers had approached Bombay High Court that heard the case first time on January 4. Meanhwile, the organisers have arranged Rashtra Seva Dal auditorium as the alternative venue if permission at Shaniwar Wada is refused. Kabir Kala Manch members, who had mobilised people from across the state last year, are participating this year as well. 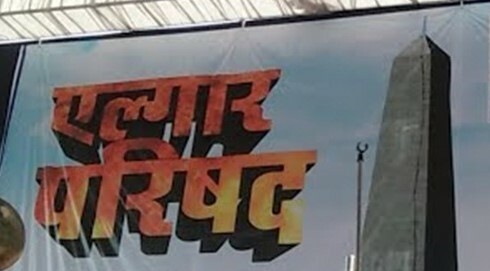 The other host organisations include Maharashtra Andhashradha Nirmulan Samiti, Surajya Sena, Swaraj Abhiyan, Maharashtra Action Committee, Indian Muslim Front, Dalit Swayamsevak Sangh, Phule, Shahu, Ambedkar Vicharmanch, Jamat E Islami Hind, Shahin Friend Circle, Rashtraseva Samuha and Lokayat.